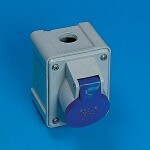 Continental caravan coupler. 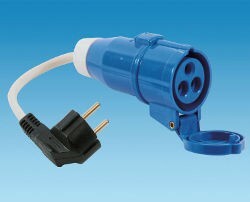 Consists of round, 3 pin caravan type socket to connect to your van or folding camper and european plug to fit continental mains supply. 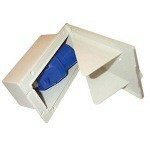 Can also be used to adapt an independent mobile mains kit to european supply for electrics in tents and awnings. Wiring harness to connect Switch Control Panel to Relay Housing as part of BCA Electrical converters wiring system. 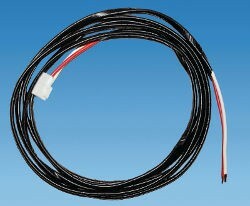 Pre-wired switch panel for use with BCA Electrical campervan converters harness system. 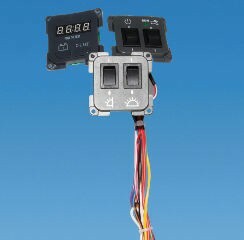 Provides switch control of 12 Volt functions and battery status check and includes C-Line switch plates. 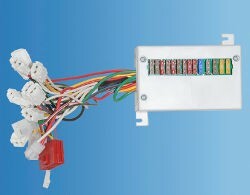 Complete relay housing and fuse board to control power distribution in the 12 Volt system in a caravan, campervan or motorhome. 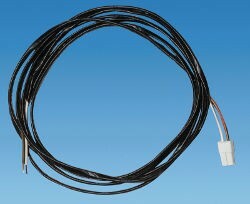 This pre-wired unit is compatible with other components of BCA Electrical campervan converters harness system for simple plug and play installation of 12 volt system in a van conversion project. 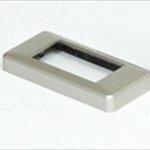 Square mains electric inlet box for caravan, campervan and motorhome complete with round, male 3 pin connector to fit blue socket on campsite mains lead. Fridge Extension loom to connect the fridge to the Relay Housing on the BCA Electrical converters wiring harness system. To fit at home in the garage to connect the caravan to electricity. 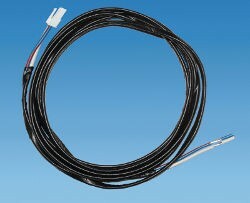 Heater Extension loom to connect the heater ignition to the Relay Housing on the BCA Electrical converters wiring harness system. 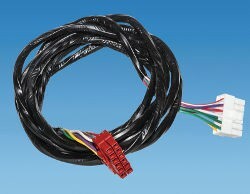 Light Extension loom to connect the interior lights to the Relay Housing on the BCA Electrical converters wiring harness system.